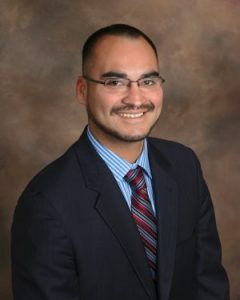 Michael Benavides represents caregivers in employment lawsuits for unpaid wages, overtime and sleep time. He represents caregivers across California working in private homes and assisted living facilities. Michael understands that many live-in caregivers face eviction at the end of employment, suffer financial hardship, and deserve compensation for their service. As a result, many cases require an expedited lawsuit to secure recovery before defendants can transfer away assets and effectively deny caregivers their legally entitled compensation. To learn more about your case and how Michael can secure your compensation call Sacramento Law Group LLP at (916) 596-1018 for a free phone consultation. California overtime law protects assisted living caregivers who work more than 8 hours in a day and private in-home caregivers who work more than 9 hours in a day. Furthermore, labor laws pertaining to sleep time deductions often entitle caregivers to compensation for sleep time spent on the employer’s premises or home. As a result of overtime laws many California caregivers on 24 hour shifts who sleep on the premises have employment law claims worth tens of thousands of dollars. If you work as a caregiver in a private home, Wage Order 15 or the California Domestic Workers Bill of Rights protects your right to overtime pay, regardless of whether you have been paid minimum wage or any wages. Live-in caregivers who spend more than 20% of their workday cooking, cleaning, or performing tasks other than personal care are entitled to overtime pay (1.5 x hourly wage or at least CA minimum wage) for hours worked over 9 in a day and for the first 9 hours worked on the sixth and seventh consecutive day in a workweek. (Wage Order 15). Caregivers who do not live in the employer’s home or facility and spend more than 20% of their workday cooking, cleaning or performing tasks other than personal care are entitled to overtime pay for hours worked over 8 in a day or 40 in a workweek; overtime pay for the first 8 hours on the seventh consecutive day in a workweek; and double time for hours worked over 12 in a day and in excess of 8 on the seventh consecutive day in a workweek. (Wage Order 15). Caregivers who work in a private household and spend less than 20% of their day cooking, cleaning, or performing tasks other than personal care are entitled to overtime for hours worked over 9 in a workday and over 45 in a workweek. Many live-in caregivers are required to respond to the personal care needs of their employer or client on a 24 hour basis. For example, live-in caregivers are frequently required to wake up at night to provide incontinence care or toilet elderly clients. As a result, many live-in caregivers are entitled to compensation for on-call hours during their sleep time. Some caregivers file wage claims with the State Labor Commissioner in an attempt to recover unpaid wages, overtime and sleep time pay. Unfortunately, often after several critical months of delay from the Labor Commissioner, their wage claims are turned down due to defendant asset protection techniques, or worse, receive a judgment a year later only to find that the defendant has shut-down, transferred assets to an entity or distributed trust assets, making the delayed judgment nearly worthless. In short, defendant asset protection techniques common in caregiver wage claims result in cases that are too “complex” for the overburdened State Labor Commissioner and weigh in favor of retaining a caregiver attorney to file a lawsuit. Private in-home caregivers often find out that defendant assets such as real estate and bank accounts are held in a living trust. Likewise, some caregivers receive a judgment from the Labor Commissioner after significant delay only to find that the defendant transferred assets to a trust or beneficiaries. Caregivers in assisted living facilities find themselves suing LLC’s or similar entities who own little and hold even less in liquid funds. In these cases caregivers find after unfortunate delays that the Labor Commissioner is ill-equipped and painfully slow in pursuing these complicated cases involving alter ego liability, fraudulent conveyance or similar techniques for securing recovery. In these cases many caregivers are better off retaining an employment law attorney who specializes in caregiver cases early in the process. To receive a free phone consultation with a caregiver attorney call Sacramento Law Group LLP today at (916) 596-1018.